Here, you can select which word processing program should be used to create documents. The word processing programs can be integrated in the general settings. This option will keep the current format of the document. With this option, a PDF of the current document will be created. The document format defined here can later be selected in the Button action as the output format "Server standard". 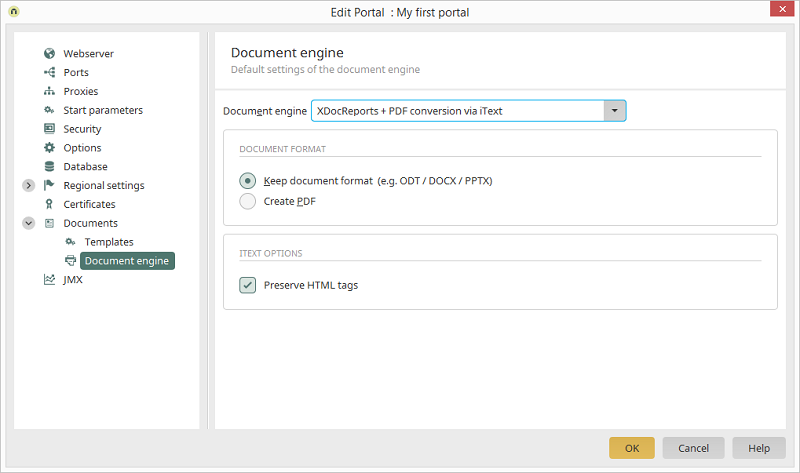 Depending on the document engine selected, different settings can be made at the bottom of the dialog. HTML tags are not available in iText. Tags such as bold or italic font will not be implemented. With the setting "Preserve HTML tags", the HTML tags will be applied to the text when a document is generated. If the setting is not activated, the text will be added to the document without HTML tags. iText's suitability for more complex documents is therefore limited. 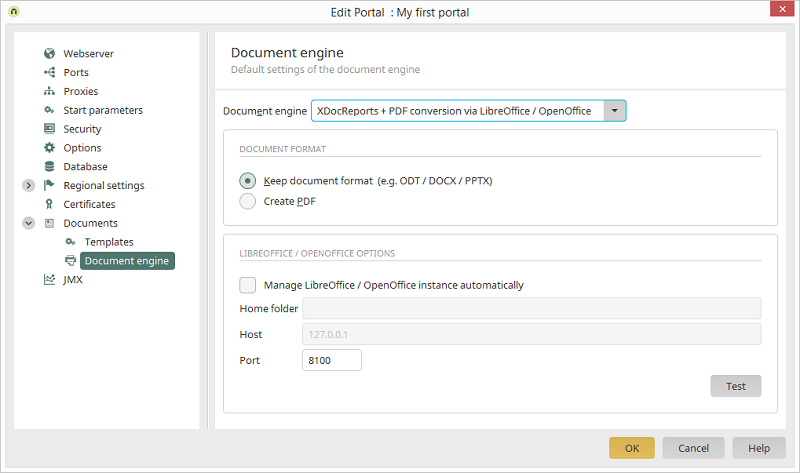 Please note that the installation directory of LibreOffice / OpenOffice must be entered from the perspective of the Intrexx portal server. Enter the host and a free port > 1024 which Intrexx will use to communicate with the service. Usually, port 8100 is suitable. Click on this button to test the connection.